It's the first Friday of the year and I am beaming with joy over the love I felt during this first week of blogging Fit for a Bride! To be totally honest: I was scared to put myself out there and especially to share this link on Facebook! God is amazing, though, because he turned my worries into a wonderful blessing... because I shared Fit for a Bride on Facebook, I have received THE sweetest comments! With blogging, I'm used to getting comments from people I don't know and it's been really cool to have people I do know (even some family) comment here! So, thank you! Thank you for a fabulous first week! I am so lucky to have the support of each of you! I love you guys! Looking for a totally unique bridesmaid gift idea? How about these awesome custom embroidered yoga mats I found on Etsy! Aren't they adorable? I think these would be the PERFECT bridesmaid gift! Especially if your girlfriends are into yoga or want to get into it! The wide variety of colors and customization options give you the ability to pick just the right one for your close friends! 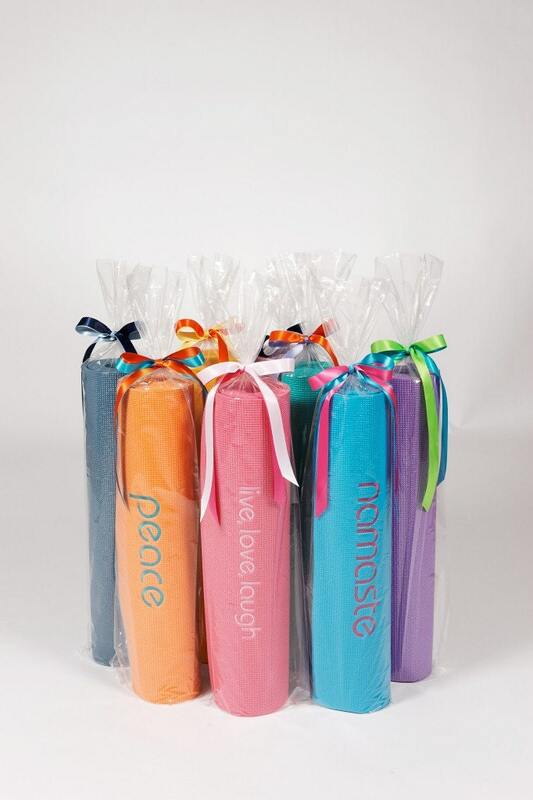 I also think it would be awesome to plan to attend a yoga class with your bridesmaids! It'd be relaxing for all of you, and you could even surprise them then with one of these custom mats! They'll love you for it!! I also can't help but think how cute it would be to do yoga the morning of your wedding, and surprise your girls with them then! That would make the cutest picture-- each mat lined up! I totally wish I would have done that! 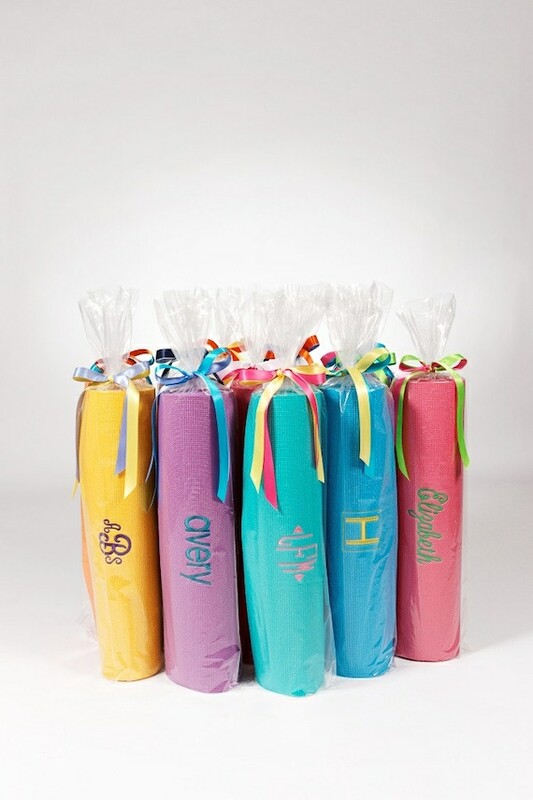 Would you gift your bridesmaid a customized yoga mat? A recent study finds skinny models photos aren't motivating for women seeking to lose weight! This article on the Top Ten Health Stories of 2012 was interesting-- I was thrilled to read that jogging can add six years to your life! About pvbody-- a company that sends you workout clothing (free!) to try, and if you like something, you simply buy it and keep it! Aparently the clothes are less expensive than they are in store! I wanna try this out!